When Prince Rokan places the bracelet around Isabel's wrist, binding her to serve him as his bodyguard (his "Shifter"), she feels no fear of revulsion. In fact, she feels nothing at all, for she has no memory of how she acquired this role. She merely knows that it is her duty. For as long as anyone can remember, the Shifter comes when the kings of Samorna call and the Shifter protects them for as long as they need the help. But this time something is not quite right. Isabel knows what she should be able to do, yet she seems limited and hemmed in by strange new limitations. It doesn't help that the Prince doesn't quite seem to be who he is supposed to be either. And as danger approaches, Isabel must make some difficult decisions about who to trust and how to do the right thing. Good fantasy stories have little to do with magic and fairy tale castles. They are about human concerns. Isabel's struggles with knowledge, love, and loyalty will feel very familar to most young women. Her transition from living in a world of magic to becoming a strong, yet vulnerable, human will elicit sympathy. Her realization that the world is not full of certain absolutes, but rather of vague grey lines, will ring true to any adolescent facing the adult world. 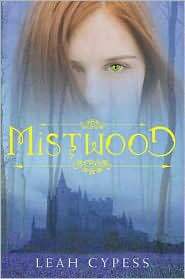 The major difference is that by placing this complicated coming-of-age story amidt magic and fantasy, Leah Cypress has made it much more beautiful and breathtaking. But the story is still intended more to speak to readers in the here and now. It does an excellent job but making coming of age into a large allegory about transformation and destiny.